Yesterday, I really was going to work. I was going to put aside thoughts of teacups, pink and white paper straws, and white parasols. But then our rings came. Well, they came back. And so did my wedding brain. I initially thought that I would wear my grandmother’s wedding ring as my own. It’s inscribed with her initials and my grandfather’s, and since he and I share the same initials, I especially liked the idea of having that bit of family history on my finger. But my grandmother was a much daintier woman than I, and it wasn’t practical to resize her tiny band to fit my not so tiny finger. Instead, we decided to follow the format of the inscription for our own bands. 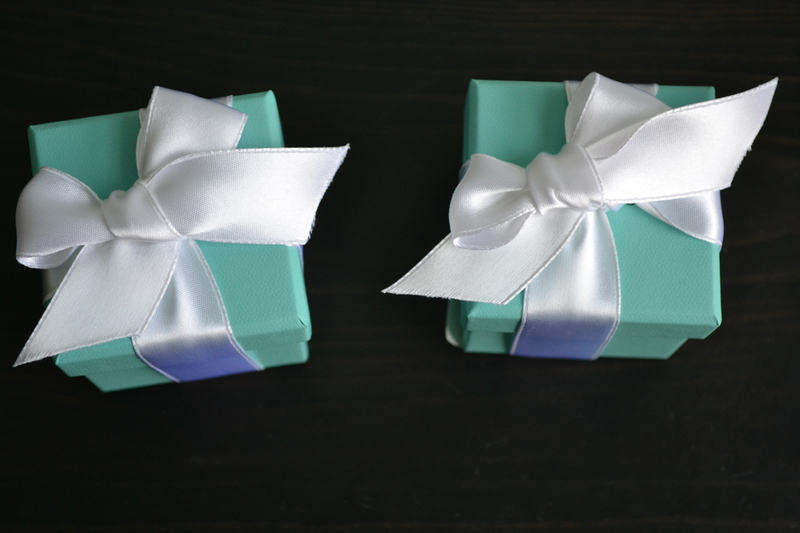 Last week, while I was in St. Louis, my mom and I stopped by Tiffany & Co. to send the rings out for engraving. They are, as my mom told the sales associate, “family rings”—new to us, but not exactly new. 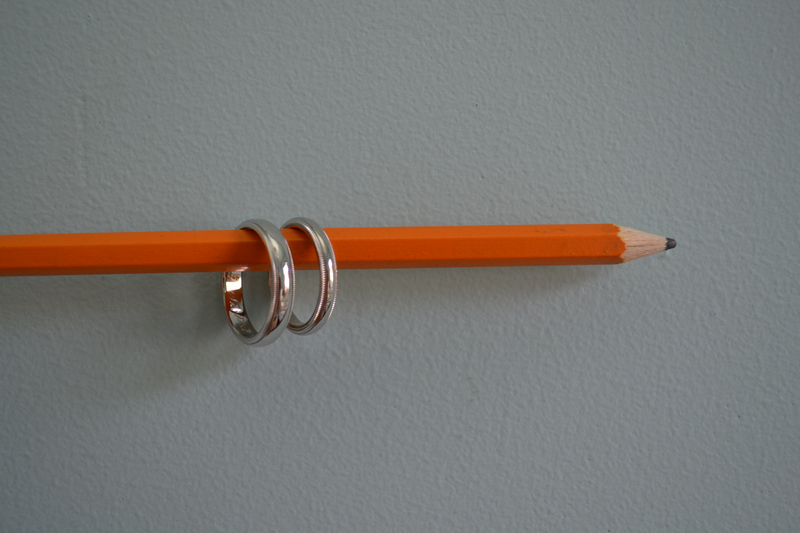 It’s true; they’ve been in the family for a while… it took me about a year of intermittent Ebay searches to track down the exact rings in the exact sizes that we needed. They came back polished, wrapped, and looking new—and engraved beautifully with our initials and our (rapidly approaching!) wedding date. *Perhaps you’ve noticed that my house is approximately the same shade inside as a Tiffany box is on the outside. My Kitchen-Aid is the same shade of pale aqua. So many things are that color, in fact, that Ricky made me promise I’d try to like some other colors. And I do. Just not as much.